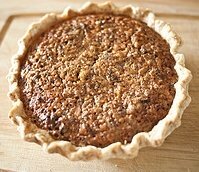 You've found my favorite homemade pie recipes from scratch and rustic galette recipes. These scrumptious pies are easy to prepare and so good. Serve with my homemade ice cream and you have a perfect dessert made completely from scratch. This pie crust is easy to work with and very flaky. Add the ice water one tablespoon at a time, and toss with a fork after each addition. For a no-bake pie (such as my favorite, fresh strawberry), bake at 400 degrees for about 10 minutes. For a pie which isn't as sweet, I would also recommend adding 1 tablespoon of sugar to the flour. Roll gently on a floured pastry cloth to about an inch larger than pie plate. Fold carefully in half, lift to pie plate, and unfold. Press into pan. For a single-crust pie, trim with a small knife to about 1/2 inch beyond rim. Fold up, and pinch so edge of pie is raised from rim. 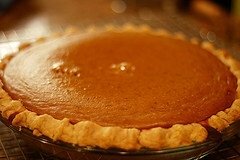 For a two-crust pie, trim bottom crust to edge of rim, fill, and top with crust about 1/2 inch larger than rim. Tuck top crust under bottom along rim. Seal with floured fork. This crust is awesome with any of my homemade pie recipes. Here's a tip that I use every time to prevent a soggy pie crust, brush a thin layer of egg white over the bottom crust before filling. Works every time. 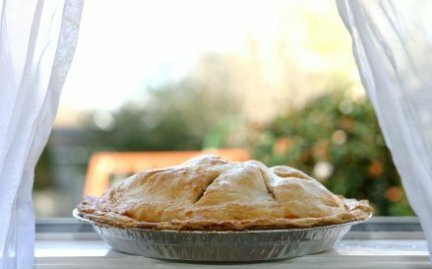 This is a wonderfully simple homemade pie recipe was printed in the Wisconsin State Journal via Cooks' Exchange column. It has nothing to do with doughnuts. Mix first 5 ingredients together. Set aside half of the mixture and place remaining mixture in two 9 inch pie pans, or one 9x13 inch pan. Spread softened ice cream on top and cover with reserved mixture. Freeze until firm. Cut into eights as serving size pieces - drizzling with chocolate shell and topped with berries. This recipe can easily be cut in half. The recipe below is my Mom's homemade pie recipe. This makes one pie. Beat the eggs with the brown sugar and add the remaining ingredients. Mix well and pour into pie pan. Bake for 10 minutes and lower the temperature to 350 degrees for 45-50 minutes. Loving this fall homemade pie recipe. PREHEAT oven to 450 degrees. You will need a 9 inch pie pan. Pastry: Sift flour and salt together. Cut in butter and add just enough ice water to hold pastry together. Roll out and line a 9 inch pie pan. Chill. Filling: Combine sugar, flour, salt and scalded milk. Cook in a double boiler over hot water, stirring constantly until it thickens. Add slowly to slightly beaten egg yolks. Return to the double boiler and cook for 1 to 2 minutes. Add butter, vanilla and walnuts. Cool. Beat the egg whites until stiff and fold them into the cooled milk mixture. Pour into the unbaked pastry shell and bake for 10 minutes. Lower oven temperature to 350 degrees and bake until filling is firm; approximately 25 minutes. May be topped with whipped cream when served. In a large bowl, combine sugar, cornstarch and salt. Add berries and toss gently to coat. Put in pie crust and dot with butter. Top with whole crust or lattice. Seal edges and cover them with foil. Bake for 20 minutes. Remove foil from edges and bake another 20 to 30 minutes. Cool on a wire rack. PREHEAT oven to 350 degrees and grease a 10" pie plate; set aside. In a bowl, beat egg whites and cream of tartar on medium until soft peaks form. Gradually add sugar and beat on high until you have stiff glossy peaks. Fold in crackers, pecans and vanilla. Spread into the bottom and up the sides of a greased 10 inch deep dish pie pan. Bake for 25 to 30 minutes until lightly browned. Cool. In a bowl, mash 1 pint of the raspberries (reserve a few for garnish); draining juice and reserving 1/2 cup. In a saucepan, combine marshmallows and raspberry juice and stir over low heat until melted. Refrigerate this mixture until partially set. Fold in mashed and the other pint of raspberries and top with the whip cream. Spoon this mixture into the cool meringue shell. Garnish with reserved raspberries and chill for at least 4 hours. In a small mixing bowl, beat the cream cheese, sugar and peanut butter until smooth and light. Fold in the whipped topping. Coarsely chop half of the peanut butter cups; stir into cream cheese mixture. Spoon into crust. Quarter remaining peanut butter cups; arrange over top. Drizzle melted chocolate or chocolate sauce over all. Refrigerate for at least 4 hours before cutting. Refrigerate leftovers. 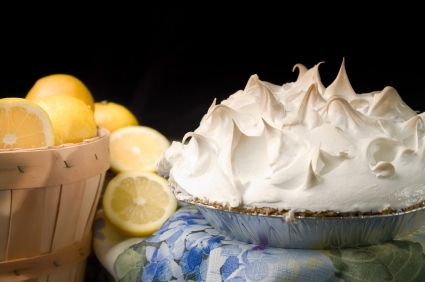 A really easy homemade pie recipe that everyone will love. Double the recipe and put it in a 9x13 pan with a homemade graham cracker crust. Crush the peanut butter cups and mixed them all into the filling. When serving top with whip cream and a chocolate drizzle. You will be famous for this recipe. Seriously. For this homemade pie recipe, you may also use peanut butter cream cookies; crushed. Just awesome, I might add (I like it better). When you make your own whipped cream and fold in it the filling - it tastes just like light cream cheese frosting. To make the crust, combine the crushed cookies and melted butter together in a bowl and mix well. 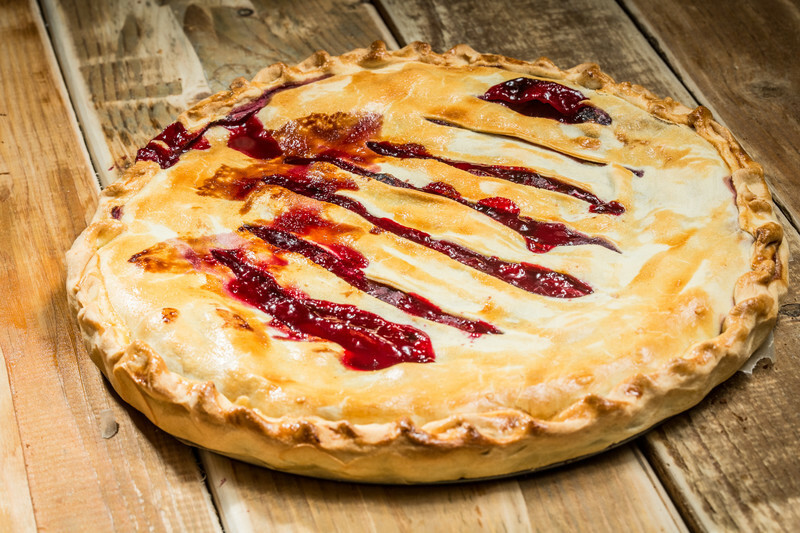 Spray the pie plate with vegetable oil and using your fingers, press mixture into the bottom of your pie plate. Bake for 5 minutes and cool completely before filling. I have more than homemade pie recipes. Be sure to check out more homemade dessert recipes below.